I have a natural antipathy to “reality” TV shows which, as most everybody acknowledges, are no such thing – any group of people followed around by a camera crew is acting, whether or not they admit it. That said, I’ll plead guilty to never having watched one, and I don’t mind being castigated for ignorance. I nearly broke my pledge never to watch one this week, though, when The Amazing Race visited northwestern Argentina, one of my favorite parts of the country. My friend and colleague Edward Hasbrouck – one of the best-traveled people I know, and we share a publisher – is an addict of The Amazing Race. 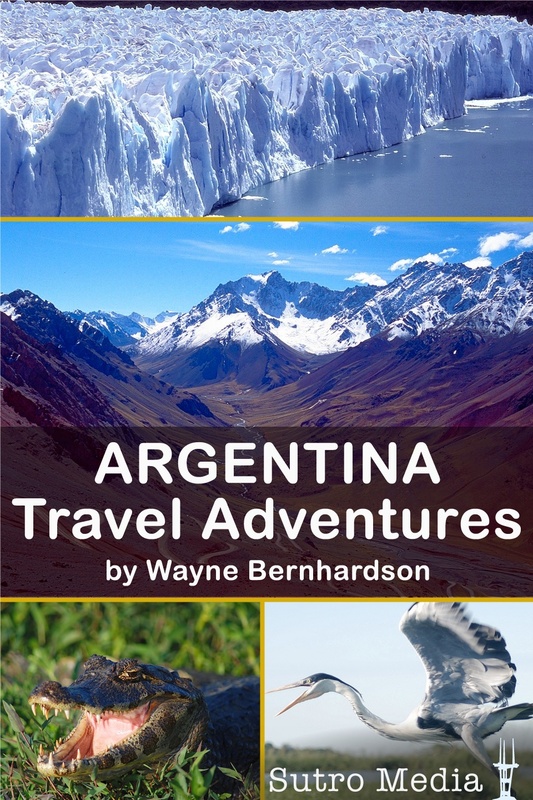 He regularly reviews the show on his own blog, managing to provide serious travel information in the context of a program that might otherwise be considered frivolous. He sent me a link to the episode, which started in the northwestern wine region surrounding the town of Cafayate, and I even opened it, but was stymied by constant buffering on the YouTube page. Nevertheless, today I received a copy of Edward’s regular newsletter with his critique of the episode, and I have a few comments on his comments, intended in the spirit of constructive criticism. 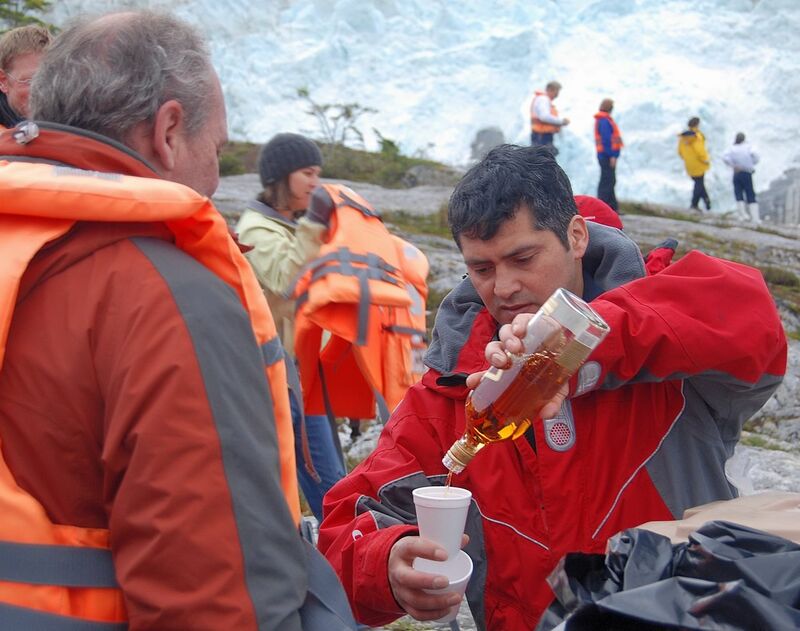 Given his broad knowledge of the travel world, he knows far more than I do about most places, but there were a few items I could not let pass. Argentina’s Andean Northwest is indeed the most indigenous region of the country and, as Edward notes, “All the people the racers met this week appeared to be of indigenous heritage” (such as the woman above, from the town of Humahuaca). He repeats, however, the oversimplification that “most Argentines are mainly or entirely of European ancestry, with the largest proportion descended from 19th and early 20th century immigrants.” It’s true, of course, that Argentina saw massive European immigration during that period, and it’s particularly noticeable in the cities, but a DNA study a few years ago – to which I don’t have the reference at hand - concluded that nearly half of all Argentines can trace their heritage back to the country’s pre-Columbian peoples. It doesn’t mean, of course, that the indigenous heritage is dominant everywhere, but it is significant. I enjoyed Edward’s commentary on the outlying stockyards barrio of Mataderos, where the city meets the countryside in the Feria de Mataderos, a weekly street fair. I have to take exception, though, with Edwards statement that the barrio’s Nueva Chicago soccer gang can’t match the violence levels of Britain’s soccer hooligans. Argentina’s barras bravas are a plague on the sport, and often intimidate players on their own team and even management – which timidly gives them free tickets in hopes of maintaining “peace” with them. 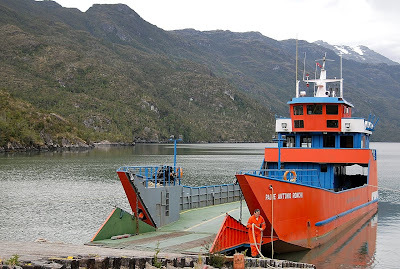 In fact, it’s not unusual for rival barras of the same team to attack each other, and deaths are not unusual – in a recent case, one barra shot at a bus carrying their rivals, and killed somebody on board. I wholeheartedly agree with Edward, though, that anybody attending a soccer match in Buenos Aires or elsewhere in the country should wear neutral colors – drab is good, drabber is better. 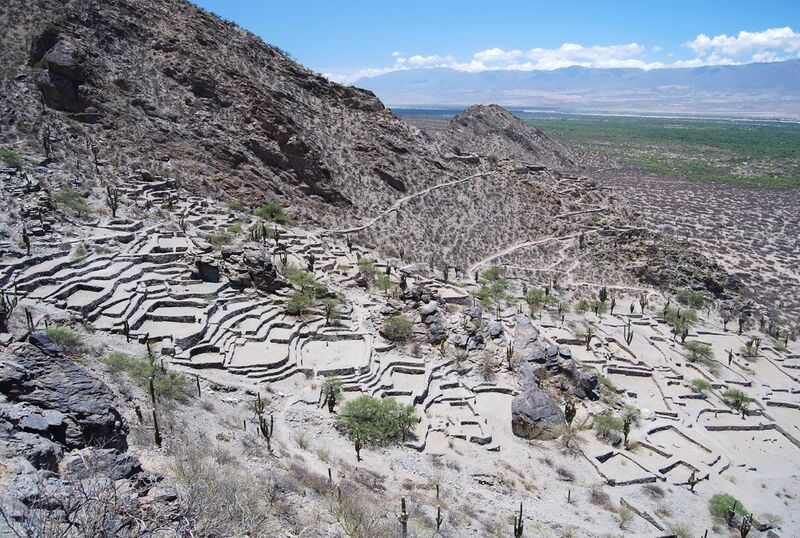 Finally, the grammatical pedant in me has to note that the word “Quilmes” – which describes the pre-Colombian fortress ruins near Cafayate (pictured above), the Buenos Aires suburb that takes its name from the indigenous people marched there by the Spaniards, and the beer that’s manufactured there today – does not have an accent. Likewise, the transport company Buquebus, which operates the ferries between Buenos Aires and Uruguay, has no accent. 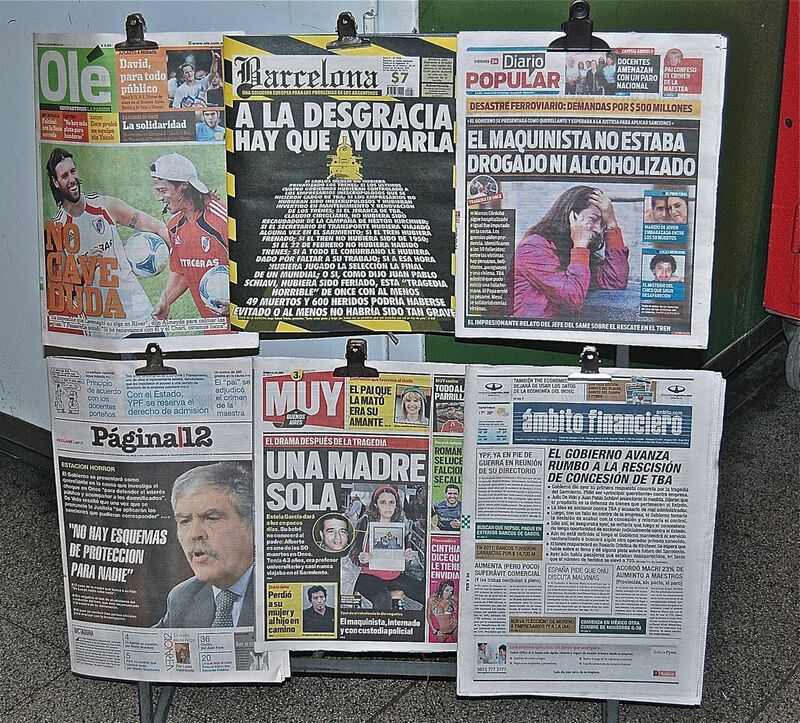 This past Wednesday, Buenos Aires made front pages around the world, and not in a good way. 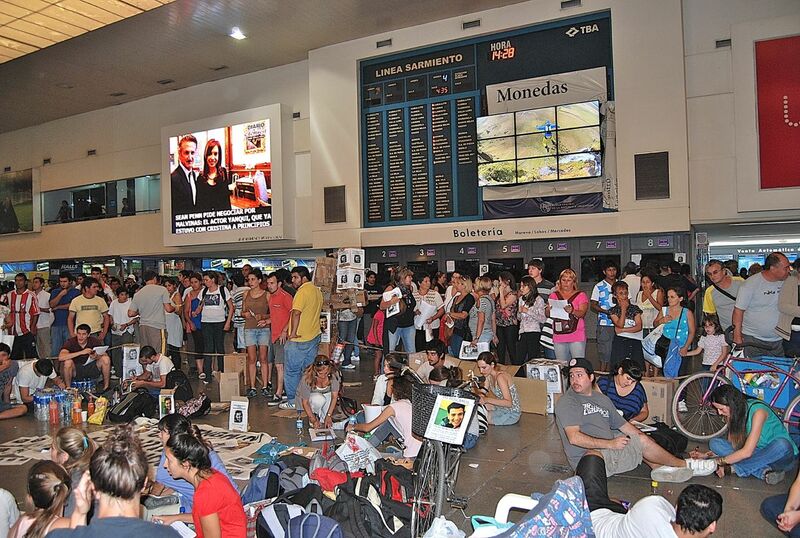 At Estación Once de Septiembre, only about three km west of the central Plaza de Mayo, a runaway commuter train crashed into the end of its platform, killing 51 Argentines and injuring 703, according to the latest statistics. 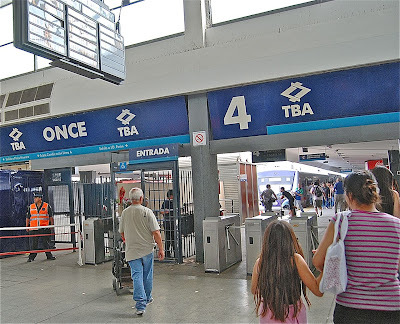 Once de Septiembre – the surrounding neighborhood is known simply as “Once” - is the Buenos Aires terminal for the Línea Sarmiento, the railroad that connects the capital with its poorer western suburbs and a few long distance destinations. 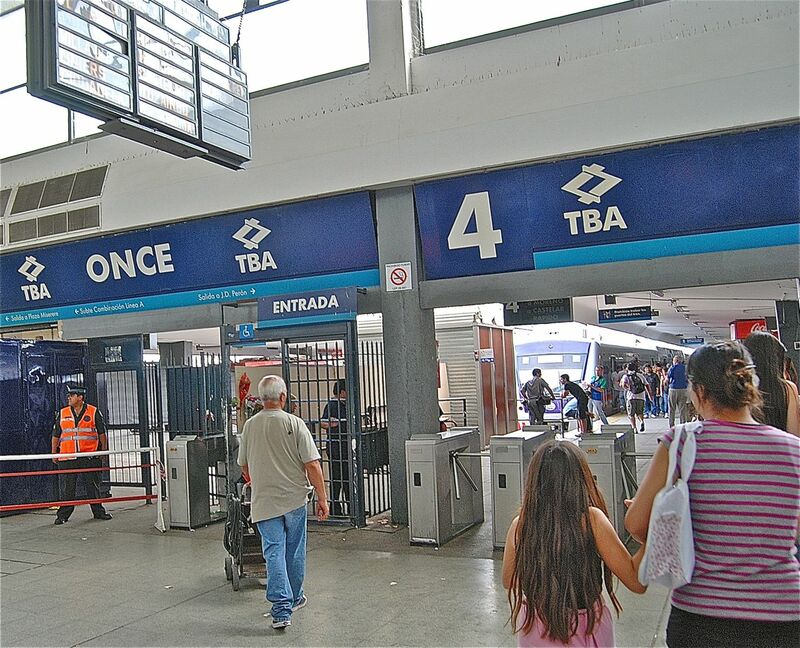 Though government-owned, it is under the administration of Trenes de Buenos Aires (TBA, Trains of Buenos Aires). 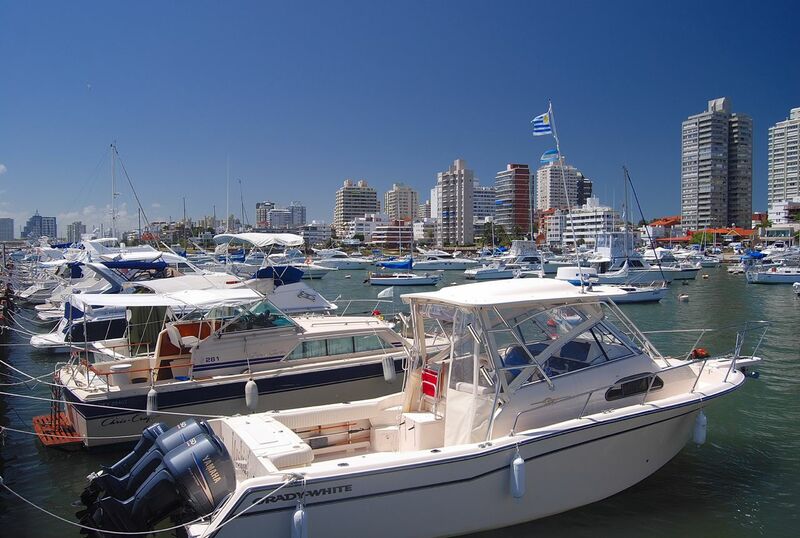 That has been the case since the early 1990s, when then-President Carlos Menem unleashed a privatization deluge but, at the same time, his successors have provided enormous subsidies to keep fares from rising. 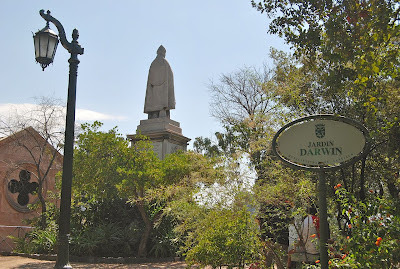 I have ridden the Sarmiento line, though not recently, to visit the city of Moreno (no longer included in my guidebooks because its main attraction, the Molina Campos museum, is not open to the public) and the devotional center of Luján. 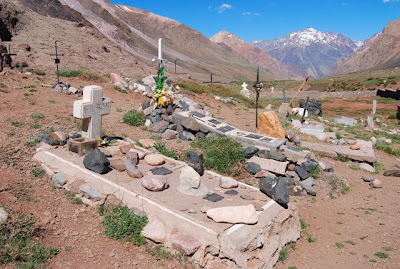 In fact, the last time I took the train to Luján was shortly after another disaster, the Cromañon night club fire – also in the Once neighborhood - took 194 lives in late 2004. On board the train, I saw many T-shirts supporting the Callejeros (literally, “street people,” the punk band that played at the Cromañon that night). Virtually all of those passengers were poor working-class Argentines for whom the Sarmiento was their main means of transport into town. 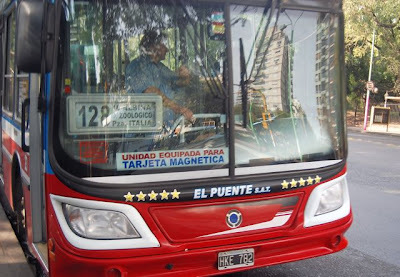 Some Porteños (residents of Buenos Aires) consider the Sarmiento crime-ridden, but I never felt any threat whatsoever from my fellow passengers. The other side of highly subsidized fares, though, was the lack of attention to maintenance; the doors on the ageing rolling stock, often covered in graffiti, did not always close. Compared with TBA’s northern commuter line, which serves a more prosperous area from Retiro to Tigre on the Línea Mitre, it was downright dilapidated. 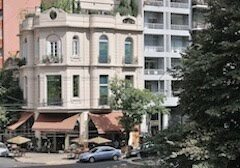 Yesterday, to get a better grasp on the scenario, I rode the Subte to Once, which is also home to a thriving Jewish community, with yarmulkes on every block. 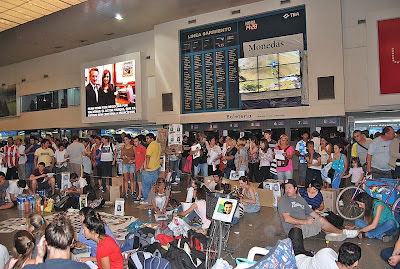 At the entrance to the terminal, concerned friends and families looked for the names of the injured on a computer printout that listed them by hospitals they were sent to. Film news crews were everywhere and, in the middle of the floor, friends and family of one Lucas Menghini – the last unaccounted-for passenger - were preparing and distributing missing person flyers. The platform and tracks where the crash took place were screened out and guarded by federal police, presumably awaiting forensic examination. 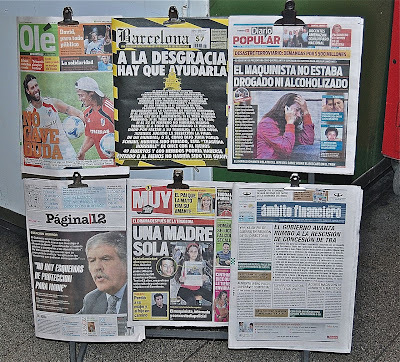 News of the wreck continues on the front page of every newspaper except the sports daily ¡Olé! Meanwhile, the blame game has begun, but it’s a complicated one. The locomotive engineer, who survived the crash, claims the brakes failed. 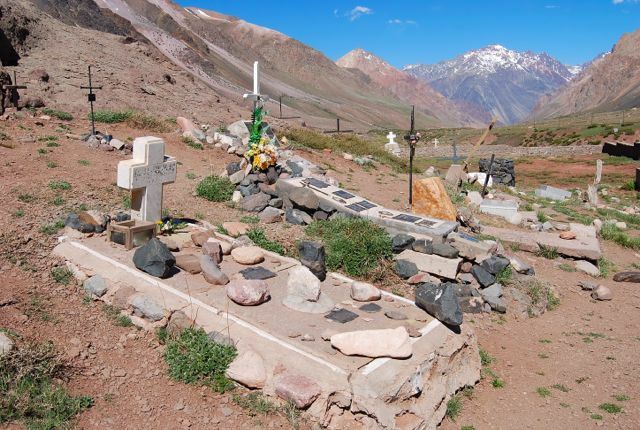 The federal government insists it will take the victims’ side in legal proceedings, but the concessionaire is a triad of Cirigliano brothers, who assumed control during the presidency of Néstor Kirchner, the late husband of current president Cristina Fernández. They, in turn, have ties to transport secretary Juan Pablo Schiavi, who could get thrown under the bus, so to speak - could it be that the government will be prosecuting itself? The victims’ families are skeptical. Meanwhile, searchers recovered the body of Lucas Menghini last night. 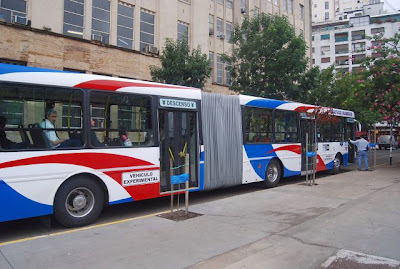 For my part, when I next go to Luján, I’ll take the bus. In the late 1970s, when I was a youthful backpacker in South America, I felt indestructible, not even taking the dangers of the region’s dictatorships very seriously despite some uncomfortable moments that I have recalled elsewhere. 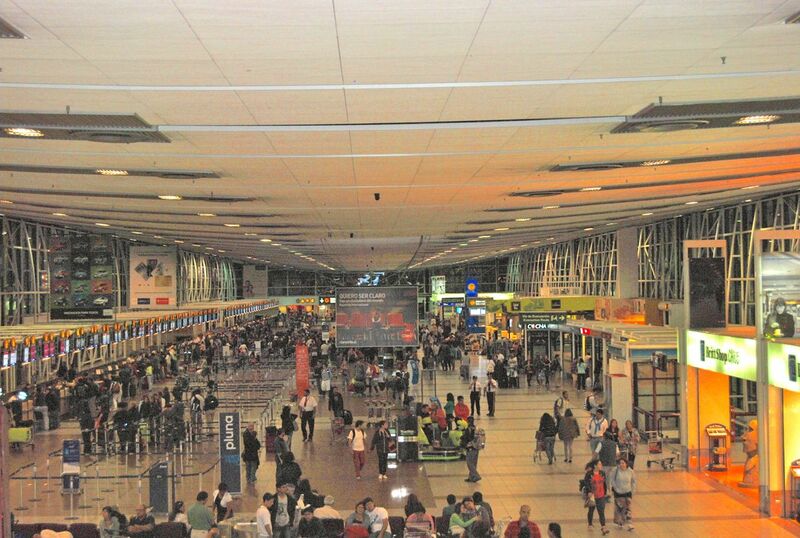 On a one-way ticket, pinching my pesos to travel for the longest possible period, I could hardly conceive that I might become ill, injured or even killed. The National Lampoon, in the days when it was a cutting-edge humor magazine, regularly quoted “bus plunge” fillers from Bolivia and Peru from The New York Times in its pages, and it seemed funny at the time. Fortunately, I never suffered any serious misfortune but, in my maturity, I take more precautions about my health and security, even though southernmost South America is a far safer place to travel than it was then. 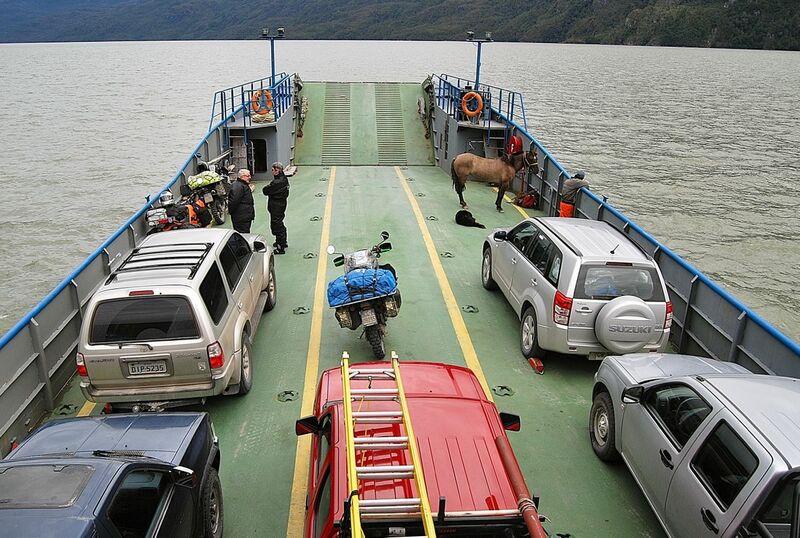 One of those precautions is a travel insurance policy, a topic my Moon colleague Laura Martone addressed in her own recent blog post. The wisdom of such a policy became apparent to me this last weekend when, unfortunately, a severe case of bronchitis caused me to miss a family wedding for which I had traveled to Buenos Aires. I’ve had bronchitis before, but this one hit so heavily that my wife and I wondered whether it might be something more serious, like pneumonia. Clearly, this called for a medical consultation, and I could have gone to the nearby Hospital Fernández, a public hospital just a few blocks from our Palermo apartment. It’s a decent facility, and I would have received treatment at little cost except for prescribed medications, but it’s often crowded with patients who need low-cost services more than I do. 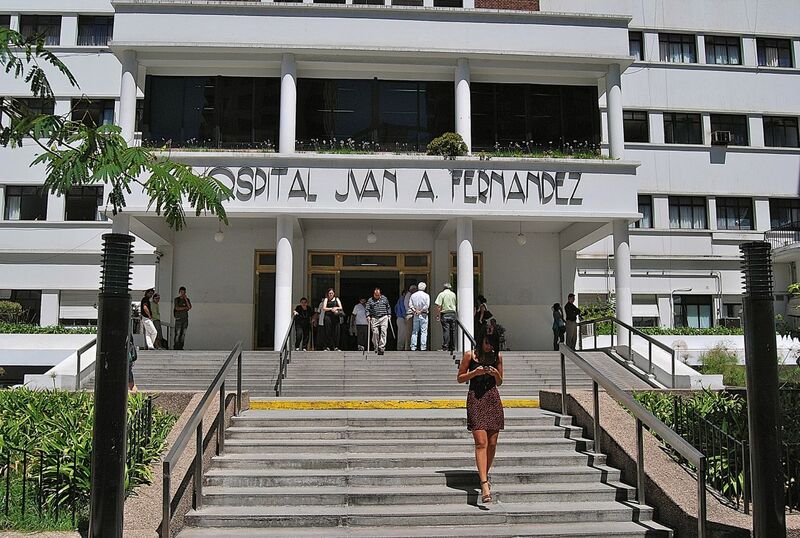 Instead, we went to the urgent care department of the Sanatorio Mater Dei, a private hospital that was a short cab ride away in the exclusive residential area of Palermo Chico. The waiting room seemed crowded but, as it happened, many of those waiting were family members rather than patients. It took less than 15 minutes to see a doctor who tentatively confirmed the bronchitis but, as a precaution, also sent me to radiology department for chest x-rays. After the x-rays proved negative for anything more serious, she prescribed me a combination of antibiotics and decongestants that have accelerated my recovery, though I still have an uncomfortable cough. The cost for all these services at an elite private hospital? The initial urgent care consultation was 335.17 pesos, augmented by 267.41 pesos for the radiology and 101.39 pesos for my prescriptions, for a total of 703.97 pesos – about US$164 at current exchange rates. At any US hospital, of course, the bill would have been several times that for a walk-in patient. 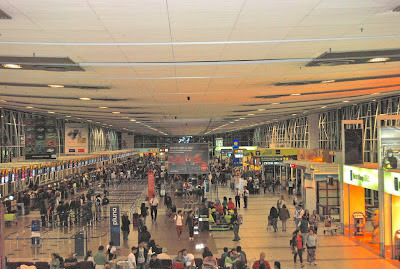 Shortly before beginning my trip, I purchased a one-year travel insurance policy, which also covers travel delays, loss of property and medical evacuation, among other features, from Allianz Travel Insurance, successor to the Access America company that I formerly used. 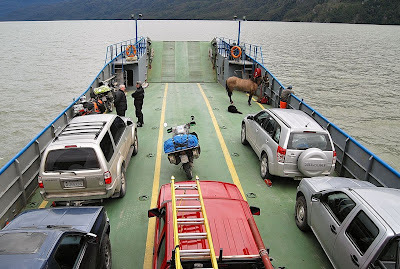 The cost of this policy was US$249, which is already looking like a pretty good investment. A note on Argentine pharmaceuticals: many items that are prescription-only in the United States and elsewhere may be purchased over the counter here. 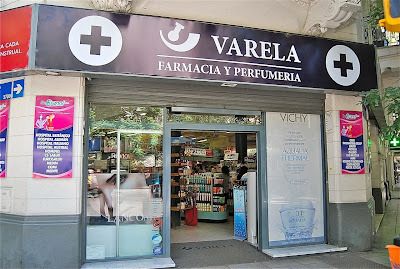 One example is Ketoconazol shampoo, which I purchase more cheaply at our neighborhood Farmacia Varela than I can through my own health-care provider in California. 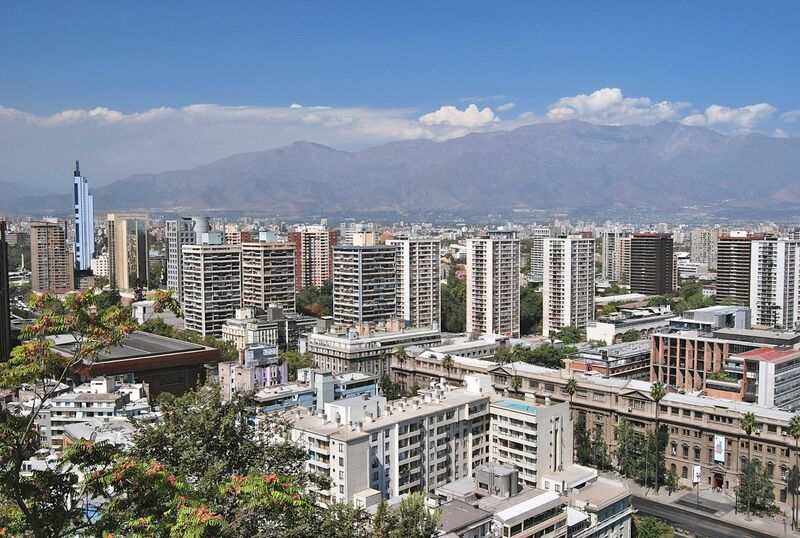 Long overshadowed by Buenos Aires, whose reputation for European elegance belies its essential modernity, Santiago de Chile is an underrated city that’s embraced that modernity at the same time that it’s managed to preserve enclaves of its history – despite the seismic uncertainty that’s never far below the surface. 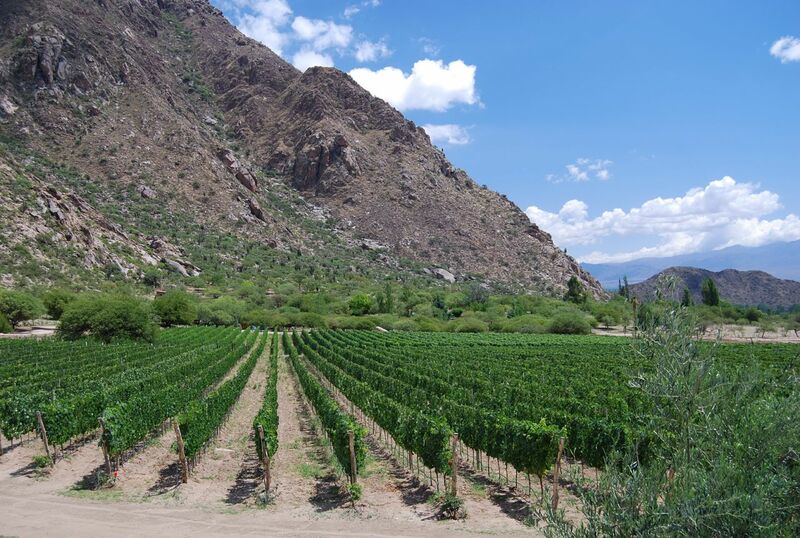 That’s especially relevant as the second anniversary of the massive 2010 earthquake approaches at the end of the month, though that quake impacted the Chilean capital less than it did the smaller cities and countryside to the south. 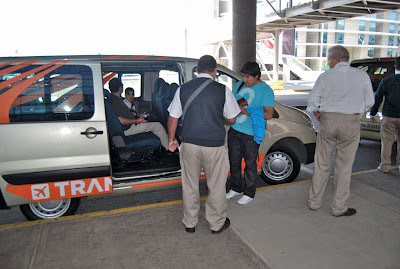 That became apparent as I landed in Santiago Wednesday morning, took the shuttle into town, and spent most of the next two days running a few errands and seeing some sights that I needed to revisit. Over the past three decades-plus, I’ve been to Santiago dozens of times, watching its transition from the drab days of the dictatorship to an economically and culturally vibrant city. 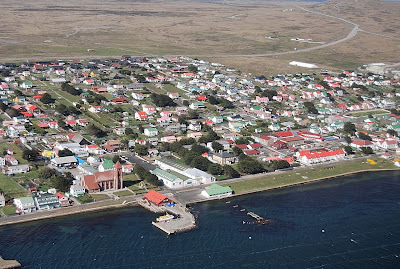 That’s not to say there aren’t problems: on the trip from the ultra-modern airport (pictured at top), one of the region’s best, first-time visitors can’t help but notice uninspiring concrete block houses and the graffiti that often cover them. In fact, Santiago’s graffiti problem appears to be getting worse rather than better, especially in older neighborhoods. 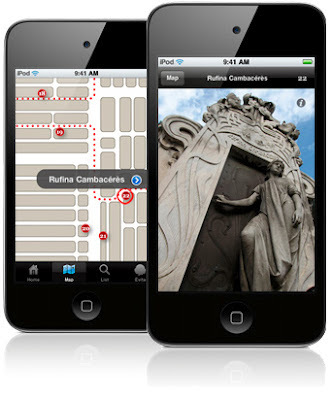 While I visit Santiago frequently, I recently realized that my photo library of the city needed to be updated, not having visited many key sites since I acquired my digital SLR about six years ago. 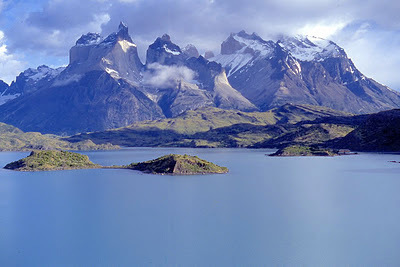 One of those sites is Cerro Santa Lucía, the promontory where Pedro de Valdivia held out against the Mapuche in the 16th century, and Charles Darwin observed the “impressive and unique” view in 1834. It is now a lushly landscaped public park and, just below the summit, the “Jardín Darwin” commemorates his visit. 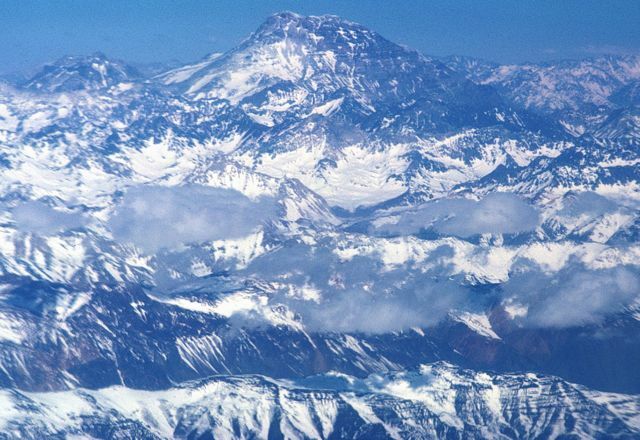 Many things have changed, obviously, since Valdivia, Darwin and Mrs. Graham ascended Santa Lucía’s summit. 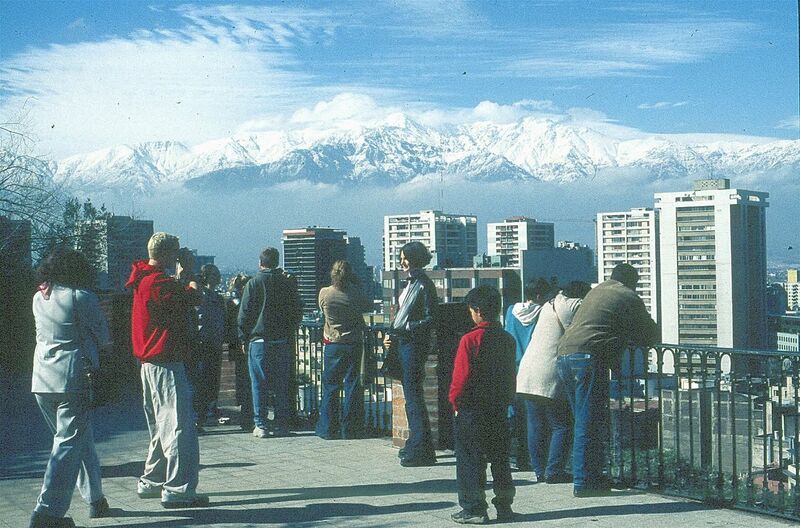 I have a badly scanned wintertime slide, taken a decade ago, that still shows the snow-capped Andes to the west above a relative paucity of high-rise buildings. On Thursday, though, a photograph I took from a slightly different perspective shows a proliferation of apartments and other high-rises stretching east toward the Andean foothills. 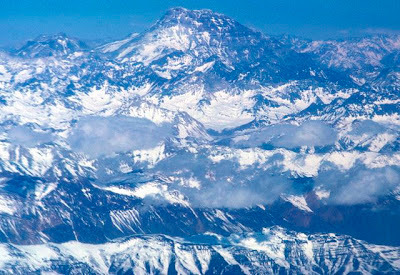 At this time of year, of course, there’s no snow on the closest summits, but the sheer density of construction is impressive – even if they haven’t yet obstructed the views from Santa Lucía. 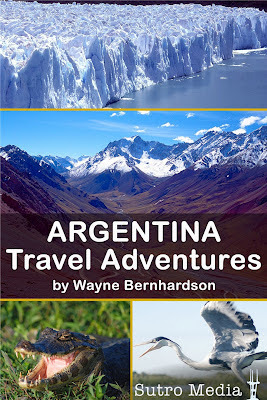 Later in the afternoon, I went to visit Brian Pearson of Santiago Adventures, a US citizen who set up a tour company here partly because of the city’s easy access to the Andes (Brian is a passionate skier, and the slopes of Valle Nevado and its neighboring resorts are less than an hour from downtown). 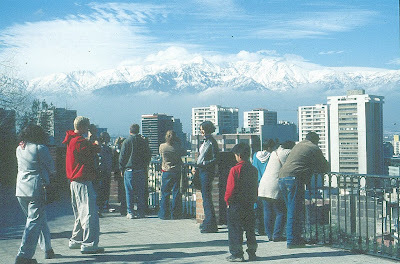 He remarked that, after some cities in China, Santiago has seen the world’s biggest building boom over the past decade. I can’t recall the exact numbers, but that’s certainly plausible. 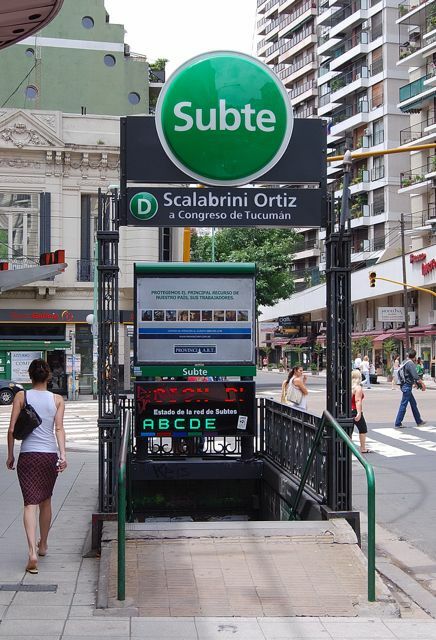 As yesterday’s deadline for obtaining or applying for Buenos Aires’s new SUBE integrated fare card approached, Argentine transport secretary Juan Pablo Schiavi acknowledged the attendant chaos by extending the deadline to Friday, March 2. Presumably, that will reduce the pressure and length of lines to obtain the card, but many details remain unclear – not least, what new fare structure will be after that date. Speculation ranges up to 10 pesos (about US$2.50), nearly a tenfold increase over current fares, but that seems improbable to me. As I wrote on Wednesday, I’ll be back in town next weekend to test things myself. In the meantime, I received a series of emails from Dan Perlman of Casa Saltshaker as to his experience, beginning with his observation that “This is just so f'ing Argentine...” for its apparent disorderliness. I have edited his following comments slightly, primarily for punctuation. 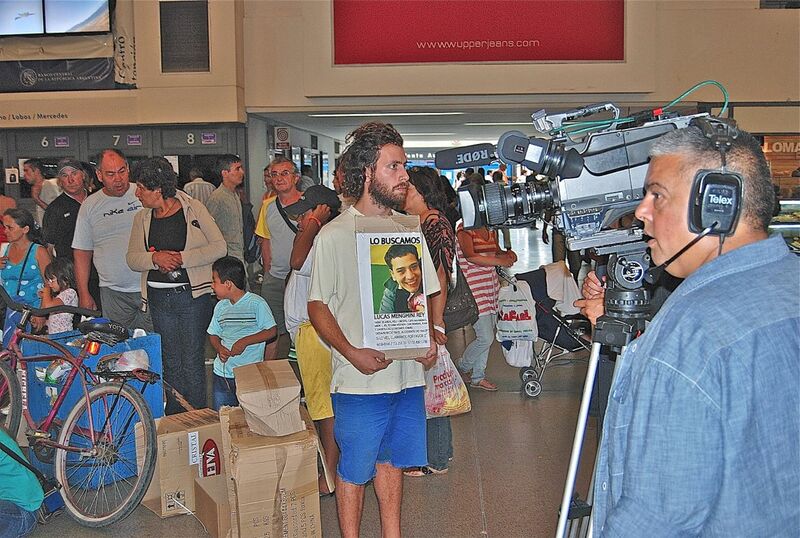 According to Dan, “I tweeted your post about the SUBE cards and got hit back with multiple Argentines who follow me with ‘no, no, foreigners can get them, just go to the website and find the place nearest to you or go to any Correo Argentino [Post Office] to get one with your passport.’"
“Fine, went to the [SUBE] site and it gives no information whatsoever about who can apply or what you need to apply, but it does say, ‘go fill out the form at any Centro de Atencion’ and it gives a list of about a dozen in every neighborhood. I go to the one a few blocks from me and they've got signs plastered all over saying ‘we don't have SUBE cards here.’ So I go in and ask about it woman says, ‘the government never distributed the cards or the forms to any of the Centros de Atencion, so none of us have them. You have to go to any Correo Argentino.’"
“I go to the one closest to my house. I ask. ‘Nope, we don't have them, only the big zone branches have them.’ I go to the closest one to my house. Signs all over, ‘we have no system to process SUBE card requests for the moment.’ I ask. "Oh, the processing system has been down for days, it might be back up next week some time.’"
“Meanwhile, the government's been blogging and announcing about how they're so overwhelmed with the quantity of processing requests that they've extended the deadline for obtaining the cards.’"
I’m not quite so convinced of that as, even if the card shows where you boarded a train or bus, it can’t show in which direction you were headed or where you got off. 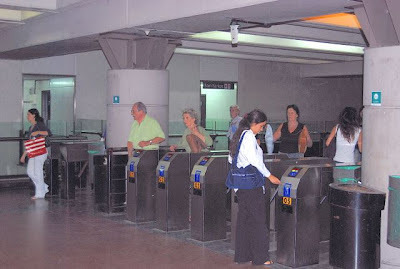 To repeat, there is no ticket necessary to exit any Subte train or city bus, and I can’t imagine any practical way to set one up – especially given how inept the system’s implementation has been so far. My wife, who's an Argentine citizen, has had better luck with her SUBE application. According to an email she just received, "We wish to notfiy you that your request has arrived at a final stage of validation and is presently being processed by Correo Argentino. We will inform you by another email on the progress of your package. Remember that the proceeding remains active and until its completion, it is not permitted to make another request either by Internet or at any other service point." 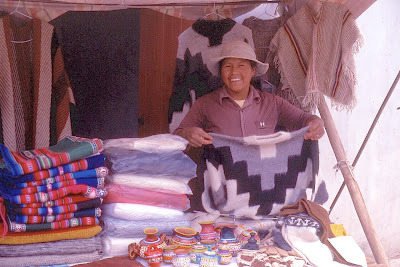 Laurene Dong of Kitchener, Ontario, correctly identified Canada’s Barrick Gold as the company that proposed moving glaciers along the Argentine border in the so-called Pascua Lama project. 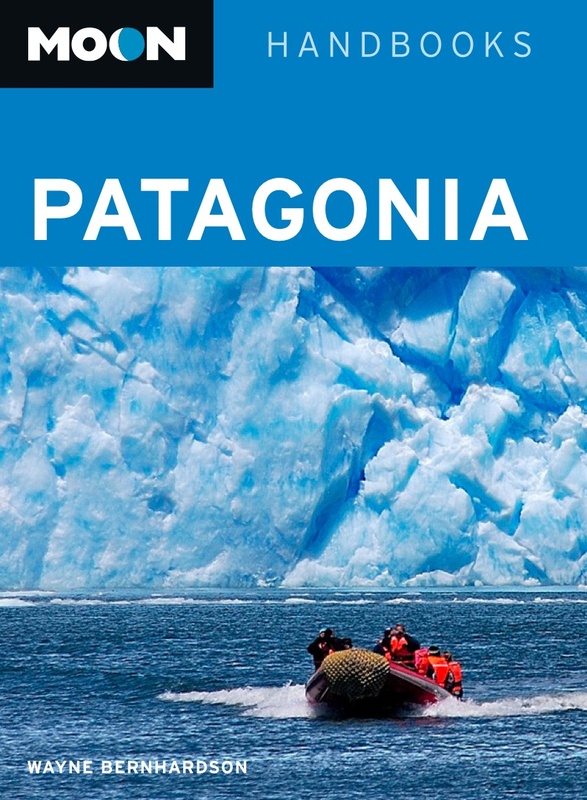 She adds that “I'm disappointed to learn that the company that tried to remove the glaciers in northern Chile is Barrick Gold, which is Canadian, as am I.” She will be receiving a free copy of Moon Handbooks Patagonia in the mail, and is planning to visit early next year. Meanwhile, I received another correct answer from a reader named “Randy,” who did not otherwise identify himself, in the comments section of the entry. Randy, if you don’t answer me by Monday with an address to which I can mail the book, I will have to withdraw the prize and hold it for a future contest.